This includes 60 minutes of Usui Reiki, Karuna Reiki, Crystal Therapy, Lightwave Energy, sound healing and messages from Angels and loved ones. Works with the Angels and Archangels clearing out the Energy field from negative energy and attachments. Jeanne incorporates all of these during a session and are worked with simultaneously, depending on how she is guided. This price includes per pet, and includes 30 minutes of Reiki and Lightwave energy. Additional fees will be added for traveling time when I come to you. Long Distant Reiki has all of the benefits of an actual hands on Reiki session and more. It allows you to experience Reiki while being in your own home, office, or any other location. For some people it is a necessity, and for others it may be more convenient not to get in the car and drive somewhere. Reiki energy is not limited by time or distance, having its own innate intelligence that allows the Reiki energy to flow exactly where it is needed. Whether you are across the street, in another state, country, Long Distance Reiki is a wonderful way to keep your mind, body, and spirit in harmony. Jeanne can make arrangements with you so that you can pick your own quiet/receiving time to receive the energy. Then you can either sit, or lay down and let the Reiki do its work. The session also includes chakra balancing with crystals as well as working with Archangel Energies, chord cutting, releasing of stagnant/stuck/negative energies or attachments. Includes a follow-up by phone or e-mail. The angels know you better than anyone in your life, and that is because they have been with you literally every moment since birth. Their mission in your life is the same as yours; to find peace, love, comfort, abundance and purpose. An angel reading is a way to receive messages from your angels channeled through another person, a way to externalize the guidance which often makes it easier to believe and follow. There really are no limits to what the angels can and will tell you about your life, they are here to help and guide you! Sometimes we feel that our space has a negative energy or entity that is having a negative impact on our lives and how we feel. Space clearing is a process by which all such energies and entities are removed peacefully and safely from a space. We do this with Sage, prayer, help from the Archangels, etc. We then go back and use special sound healing tools, sacred symbols, sprays and more prayers to put a protection, upgrade and bless the space. A shift in energy of the space is immediately felt when we are done. You feel like there is a negative energy or entity in your space. If there has been a lot of conflict, or intense emotions in a space. You have just moved into a space and want to clear any energies from previous occupants. You are going through or have just gone through a major life event, like career change or divorce. If you would like to increase the peace, harmony, prosperity, and productivity of a space. To order a telephone reading, click on the PayPal button for the amount of time you wish to schedule the phone reading. I will then, within 48 hrs of purchase be in contact with you via the email address you have provided to set up a time that works for both of us. Paypal arranged telephone readings must be pre-paid and payment verified to secure an appointment time. My current schedule if filling up quickly, appointments may have to be scheduled within one week out. I really appreciate your understanding. through the website to accommodate the Paypal Fees. Crystal therapy is a non-invasive, relaxing, natural and enjoyable process. The healing will offer you a chance to lie back, relax and get in touch with your body's energies so you can leave feeling refreshed, restored and de-stressed - a perfect platform for improved physical health. Crystal therapy can, in a sense, communicate with the energies flowing around the human body. On a microscopic level a crystal is a network of repeating geometric patterns made up of compressed ions, atoms and molecules. 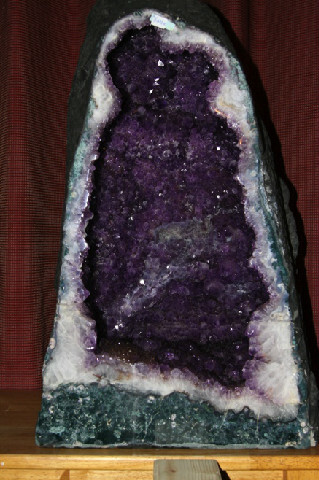 In crystal therapy, every crystal has its own unique electromagnetic charge. These charges, or 'healing vibrations' interact with the body's energy centres to remove 'blockages' and restore a healthy flow through the body and mind. Correct placement of crystal on the body will promote emotional and mental harmony. During this state of equilibrium, inner harmony, the body has the perfect conditions to naturally heal itself, producing healthy re-growth of tissue and cells. Crystal Therapy is noninvasive and extremely relaxing. Crystals are placed on the body and surrounding area to create a wonderful sense of calm, stillness and wellbeing in a relaxed and caring environment. Sensations such as tingling, temperature changes can sometimes be felt as the body gently realigns itself. Jeannie, along with her and your higher self will choose crystals carefully for each individual client as each one is believed to have a unique healing power. Then she will place the chosen crystal on different areas of the body in a grid-like fashion designed to stimulate energy. She will then place in intention for the Crystal therapy and all you need to do is relax and allow the crystals to do work their Magic. Jeanne will also be clearing out your energy field and do additional energy work with the Angels and Archangels as she is guided. This will take approximately 30-45 minutes. Although contact with a certain Spirit or information can never be guaranteed, I have consistently connected with our Loved ones on the other side and given proof of spirit messages in readings. A reading with Jeanne is a three way process involving Spirit, the medium and the client. Jeanne acts as the “middleman” between you, here in the physical world and the Spirit World. Validation is the most important aspect of spirit communication. It is important to keep an open mind during the process, and to be open to receive whatever messages come through and from whoever is trying to connect with you. You never know who will come through. Some people that have passed are more excited to connect with you then others. I will do my best to bring through whoever it is that you are trying to connect with clarity and evidence. I do not do readings from the other side to give you predictions from your loved ones. They are coming through to show you that life continues and they are still around you. I have the gift of Clairaudient (I hear) and I am Clairvoyant (I see), I hear the information that I am supposed to pass on, or they show me pictures and I have to get bits and pieces and try and put it together. They do not just like having a conversation like you and I would have with someone else. All kinds of evidence come out in a session, whether it is significant or what may seem to you to be quite trivial. It is all the small things that make up our lives. I am available year-round by appointment for in-person readings and telephone readings.